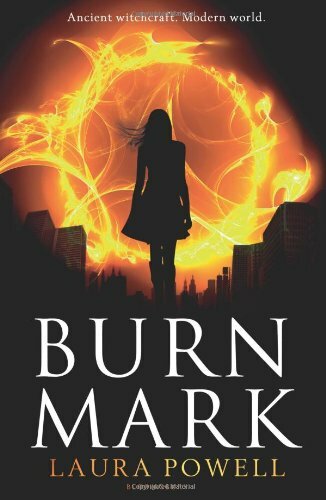 ‘Thou shalt not suffer a witch to live’: these words from Exodus chapter twenty-two, infuse Laura Powell’s clever and ambitious new fantasy adventure Burn Mark. The book is set in an alternative contemporary England, very similar to our world, except that the obsession with witches is as strong as it was in the fifteenth century when the Malleus Maleficarum was required reading for all members of the Inquisition. But in this version of our world witches are real and have genuine powers. They are required to declare themselves to the government and to submit to strict controls, even wearing metal collars or bridles, and are regarded with suspicion by their neighbours, both feared and despised. Step out of line, and the threat of death at the stake (albeit ‘humanely’ administered) remains. In the lower echelons of society, however, witches’ special powers are more valued. Here witch families are gangland lords, running criminal operations, and occasionally waging turf wars against other covens. They have their own sets of rules that in their different way are just as restrictive. Powell evokes an atmosphere of noir very well indeed; it’s both appealing and frightening, and she captures the glamour and the squalour, the thrill and boredom of a life of crime. Her central characters are two young people, who both discover their fae powers at the same time: Glory is the daughter of one of the most powerful East End covens, and has been praying all her life for witch powers; Lucas is the privileged son of one of the most powerful of the Inquisitors and the discovery of his witch mark comes as a terrible blow, one that will change the path of his life completely. Offered the chance to redeem himself by working undercover for the Inquisition Lucas goes into the underworld and with a sceptical Glory uncovers a complex conspiracy against witches. This weaves together political intrigue and acts of terrorism with personal, family betrayals. It’s gripping, the parallels with our own society are obvious but never heavy handed. At times the complexity threatens to overwhelm the reader but the strong, attractive characters of Lucas and Glory at the centre pull it all together. This is a smart, unusual and very effective paranormal adventure.